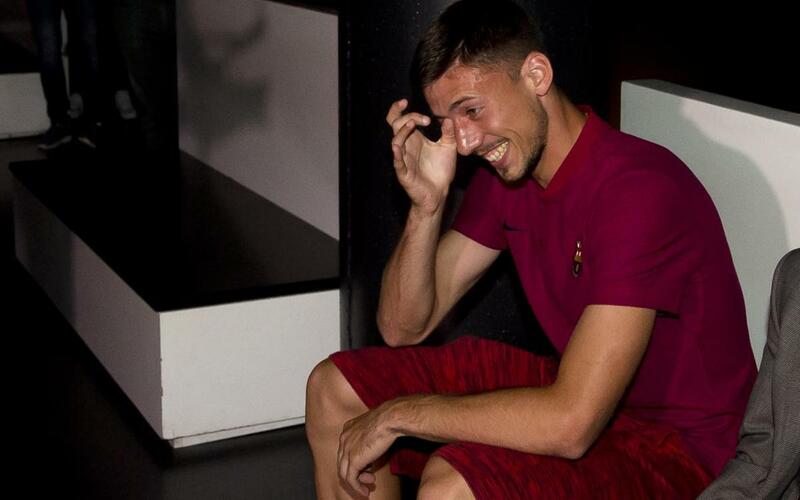 FC Barcelona’s second reinforcement of the season, the Frenchman Clément Lenglet, was visiting the FC Barcelona Museum on Thursday — a tradition that all new players take part in during their first day at the Club — when something unexpected happened: a surprise from a loved one. Clément was watching video of the historic PSG comeback when, suddenly, the screens in the Museum began playing back a message recorded by his father, Sébastien. In the video, Sébastien explained the family’s pride in Clément, who was about to begin a new stage of his life at FC Barcelona. But they were more than just words. Watch the video and see what happened.